Just last week, I finally got my first app acquisition completed. The application I acquired is Quiz&Learn Python, which is a quiz app for learning Python on smartphones. The Fisher is in the App Store! Last night, The Fisher was accepted to the Apple App Store! Again (more on that in a later post). For the features of the app, see the app page. Or just go and buy it :) Below are a few screenshots of the app. I finally submitted The Fisher to the App Store for review! It's an understatement to say that I'm exited right now. At the same time, I'm really nervous. The review time should be around 6 days, so hopefully I have even better news next week. Now I think I've deserved a glass of good red wine, so cheers! Yay, even though I submitted it there myself, it's nice to see the signup page for The Fisher accepted to the iStockPhoto Design Spotlight. Introducing My First App, Codename "The Fisher"
The first app that MobileIceCube will publish is a project with codename "The Fisher". 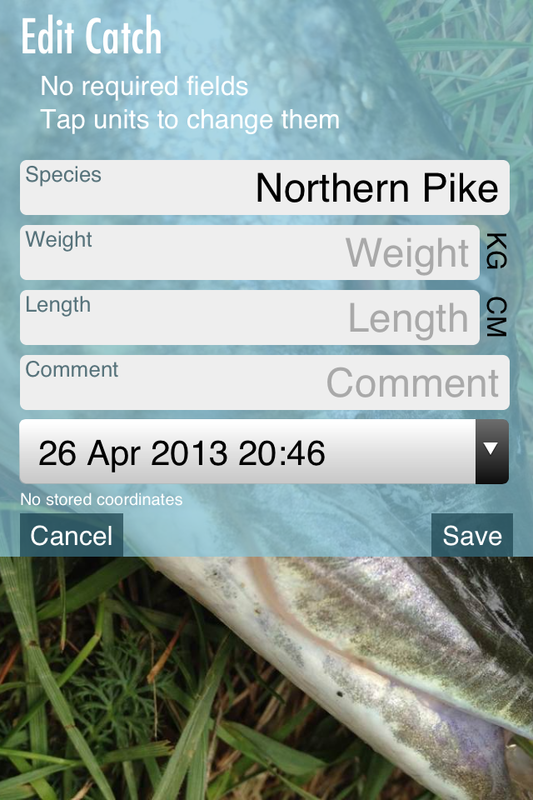 It is an iPhone app for logging the great big fish you catch. Here's a little history about my relationship with fishing as well as motivation for building this application. When I was young, I was a really enthusiastic fisher. My cool catch log from those times is below. As I grew up, there didn't seem to be time or opportunity for fishing. For the past few years, that has changed, though. Spending time at a summer cottage has revived my passion for fishing. There's nothing better than a self-caught perch (even a small one) fried in butter on a summer evening. My fancy suit-themed notebook for keeping a list of my catches. From my old fishing kit, I found a notebook I used to log all the fish I caught. Being the app geek (in a good way) that I am, I immediately searched the App Store for suitable applications for my iPhone. Turns out there are plenty. However, none of them fit my view of storing the information on my typically quite modest catches. As a result, I started working on The Fisher about seven months ago. Like most software projects, the schedule has extended past many deadlines I've set. It has also seen many design (how about a skeuomorphic suit-themed design?) and code iterations. Now I'm finally happy with what the app looks like and how it behaves, so it is time to make the application public. It is not quite ready for submitting to App Store yet, but I've decided on a submission deadline for myself: January 4th (which also happens to be my birthday). If you'd be willing to beta test the application, please get in touch.